Registration is now open!! 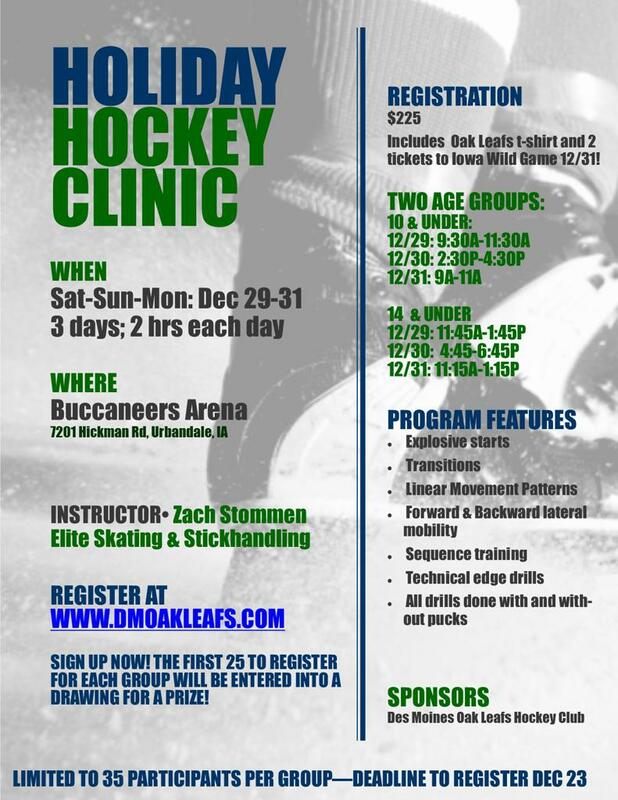 The Des Moines Oak Leafs Hockey Club is excited to sponsor a Holiday Hockey Clinic featuring Zach Stommen of Elite Skating & Stickhandling! This 6 hour clinic promises to provide your player with professional instruction that will last beyond this hockey season!